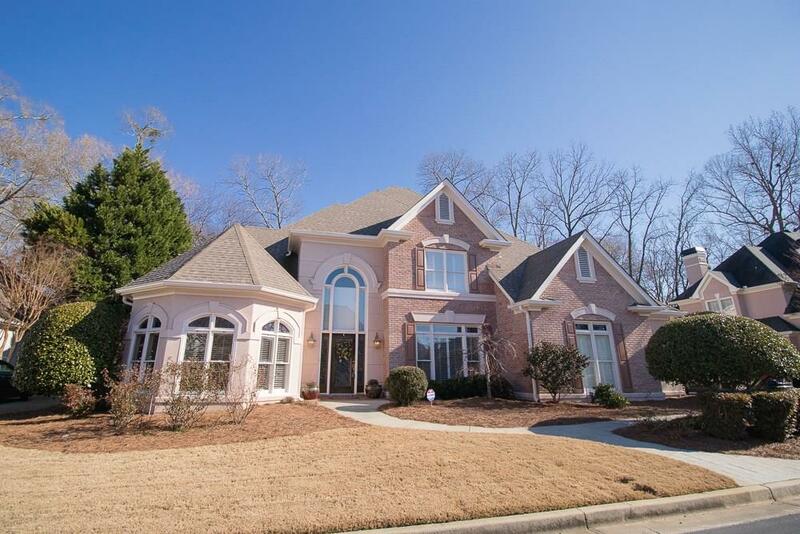 MASTERPIECE on Chattahoochee River Former Builder’s Model Home in a Beautiful Gated Community , 2 story foyer leads to spacious formal living, dining, family room & keeping room w/hardwood floors. Incredible Luxurious master retreat with sitting room, wrp tub w/ huge his/her walking closets on Main, The house is wired for surround sound system and security system, custom gourmet chef’s kitchen, SS appliances, granite counters w/door to rear dock overlooking private Chattahoochee river. Three Gracious Bedroom Upstairs Plus Huge Bonus. Around Corner Atlanta Athletic Club.